Miguel Caballero has shot more than 200 people including his wife, a British police officer, his lawyer (four times) and most of his employees. 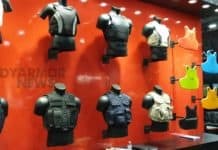 As Colombia’s largest maker of fashionable flak jackets and bullet-resistant clothing, Caballero habitually puts his products to the test – and so has the spiraling crime rate in the hemisphere. “Latin America is one-of-a-kind when it comes to threats,” Caballero said, as he paced his factory carrying a .38-caliber pistol, which he uses to blast his models and volunteers. 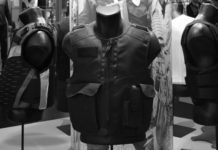 While many of his U.S. and Israeli competitors make one-size-fits-all bullet-resistant vests, Caballero specializes in tailoring his clothes to match the threats. Two years ago, armor-piercing, .9 mm bullets – made of copper, lead and steel – first made an appearance in Honduras. Since then they have spread to El Salvador and Costa Rica. Armored-truck thieves in Brazil and Uruguay began setting security guards on fire when they discovered that some vests were flammable. “It wasn’t the Molotov cocktails that killed the (the guards); it was their own jackets,” Caballero said. In hot climates, perspiration also can make protective clothing heavier and compromise its effectiveness. Colombia was a good laboratory for Caballero’s craft. When he started his company 19 years ago, this South American nation had the second-highest murder rate in the hemisphere – behind El Salvador – and was synonymous with gunplay and bloodshed. At Caballero’s 48,000-square-foot factory, seamstresses stitch together bullet-resistant leather jackets, guayaberas, polo shirts and Nehru jackets. A typical suede coat – which can atypically stop a .44 magnum – might run $3,000. “People in the United States don’t mind buying clothes and other things that are made in China or Japan, but when it comes to security gear, they still want it to say ‘Made in the USA,'” he said. With business booming in Central America and Mexico, Caballero is likely to keep giving tours of his factory – and gunning down guests – well into the future.